Noah Larkin Stanley, son of William Floyd Stanley and Isabelle Elizabeth Stanley, was born on 16 Jul 1875 at Wise County, Virginia. He married Isabelle Deel, daughter of John Henry Deel and Isabelle Louvina Wright, on 17 Apr 1890 at Dickenson County, Virginia. Noah and Isabelle were divorced before 1891. Noah and Isabelle had no children. Noah married Nancy Elizabeth Gilliam, daughter of Isaac Gilliam and Lucinda, on 11 Jul 1891 at Dickenson County, Virginia. Noah married Martha Ellen Salyer, daughter of Reuben Salyer and Mary Powers, on 11 Mar 1902 at Dickenson County, Virginia. Noah married Flora Milton, daughter of Will Milton, on 08 Jul 1918 at Wise County, Virginia. Noah and Flora were divorced on 18 Sep 1919 at Wise, Wise County, Virginia. Noah and Flora had no children. 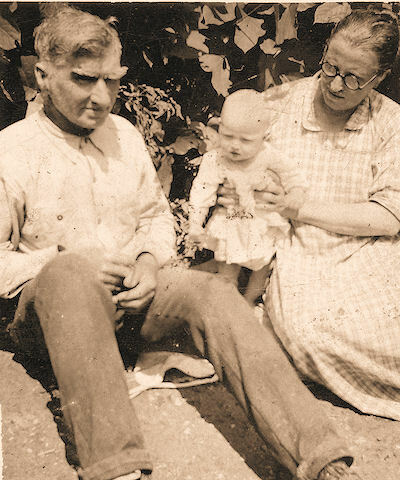 Noah married Amanda Payne, daughter of Moses Payne and Marthey, on 08 Dec 1919 in Appalachia, Wise County, Virginia. Noah died on 17 Sep 1941 in Toms Creek, Wise County, Virginia. He is buried at Jackson-Odle Cemetery, Toms Creek, Wise County, Virginia. 1900 Federal Census, Kenady Dist., Dickenson County, Va.